As within sects, cults and religions, there are also people within the Illuminati who have left. Due to this, revealing information and data have leaked about the true nature of the Illuminati, and what has come out is horrifying! Fritz Springmeier is one of the persons who have taken care of the renegades and tried to help them back to a normal life – if it’s possible. You may ask, why should somebody want to help those people, who have done so much harm? Well, I will tell you why, but first we need to know what is going on inside the Order – on the highest levels of Satanism. Almost all high level people within the Illuminati have MPD (Multiple Personality Disorder). This means the person switches between different personalities (like a Schizophrenic or a Quadraphonic). This is absolutely necessary if you practice high level Satanism, because if you couldn’t switch you would probably die from the horrible rituals. You have to disassociate. The reason for those terrible rituals is to gain occult powers. You may get MPD from severe trauma, because your mind needs to dissociate from the incident to protect you from the negative effect of it, but people don’t get highly sophisticated and structured MPD just by themselves, and it’s no coincidence that the Illuminati top has it. They were programmed when they were babies, often by their own parents. Several people who have left tell the same story of how they were abused all their lives by a “handler”, which often could be their own father or mother. Now, how is it done? It is done by a sophisticated manipulation of the child’s mind, and to protect him/herself from the abuse the child develops MPD. The most inhuman severe torture is used on children to create MPD. Then the various personalities are located and programmed, using state of the art mind control. Harmonics and sound waves are used to manipulate the subconscious. Harmonic generators, code named “ether-waves” are able to imbed commands which are linked to audible triggers – this is standard procedure for the Monarch Program(1). Then the slave can easily be controlled by trigger-words which make no sense to other, outside listeners. For instance, a phrase like “Look, the Mailman is coming” might trigger the slave’s mind so he/she, without knowing why, instantly leaves everything he/she is doing and goes to his Master (handler). All the Handler needs to do is to give the victim a phone call, say the trigger phrase, and the mind controlled person goes out and does whatever job he/she is programmed to do. Some slaves are turned into “sleepers”. This means they may live quite normal lives, but after let’s say 10 years, on a prearranged date, something triggers and the person goes out and murders someone, for example. This is how political assassins and maniacs who killed children on schoolyards are triggered. Another important tool for the Monarch program is electric shocks. This is frequently used on slaves. It is used to create MPD in the primary state of making a slave, and later on it is used to remove memories after the slave has carried out a secret mission, or just to create fear and terror in the person. As these victims begin therapeutic deprogramming processes, they often recall those terrible memories. This trauma based mind control is nothing new. It’s an outgrowth of the practices of the old Mystery Religions – practiced in deep secrecy. Satanism has been practiced for thousands and thousands of years and has remained in secret behind its religious front, due to the ability of the generational Satanists to create MPD. Many of the European kings were/are Satanists who have/had MPD. The royal families of Denmark, the Netherlands, Spain and England are all involved in Black Magic and Satanism. The Romanov’s who had branches in Prussia and Russia were also involved in the occult. An examination of their jewelry showed a big amount of occult symbols, even though the family had a Christian front. If the high level Satanists didn’t have MPD they would go totally insane due to the horrifying practices on the highest Illuminati grades. Only the persons who have MPD can survive. One must separate two things here, though. The high level Satanists do not have the highly structured MPD such as the Monarch slaves do. The latter are the controlled robot slaves to their Masters, who are the REAL Illuminati (like the Rockefeller’s, Rothschild’s etc). The slaves are programmed to be more or less like zombies, except they have front alters that can look and act like everybody else. Under the Nazi regime, the satanic use of MPD was refined. 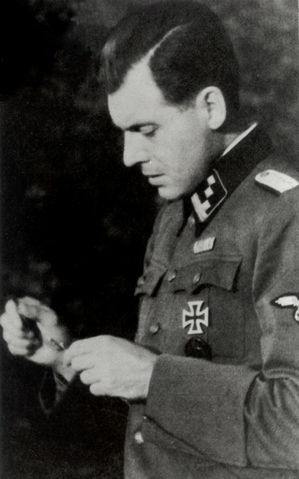 Josef Mengele, himself an Illuminatus with a long satanic family line, was the master-mind behind the refining of creating MPD, especially in twins. After the war he was smuggled out of Germany to serve the Illuminati via the CIA and took the code name “Dr. Green”, the name he is known under by mind control survivors who were unfortunate enough to come in his way. When WW II was over, the CIA actually smuggled lots of German and Italian scientists and specialists into the United States and South America, people who had developed new, very sophisticated methods of creating this particular disorder(2). This program, with the purpose of smuggling Nazi scientists out of Germany after World War II, was called “Operation Paperclip”. The Nazi psychiatrists were working hard on creating the perfect human puppets. They succeeded well. After the war, together with the Italian, American and British scientists, they created a technique that made it almost impossible to detect a person who had been mind-controlled this way by the Illuminati. Out of this research came MK Ultra mind-control, and other refined programs followed. Now they can take any person, program him, trigger him, and the person goes out and does exactly what he is programmed to do. They also use these techniques with the help from pop music. People who are programmed and listen to certain music get triggered and start acting accordingly to what is programmed(4). As I mentioned above, some people have succeeded to escape the horrible life within the Order. 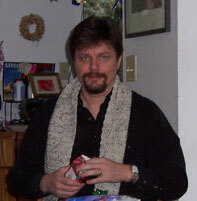 One of them is Cisco Wheeler, who is a co-writer of a book which reveals the horrifying story(3). Wheeler is a descendent of Ulysses S. Grant, who himself was an Illuminatus from a satanic family line. She was manipulated by her father – an Illuminatus who also had MPD and was a trained programmer. It all started while she was still in the womb and after she was born she was constantly raped by her father and others and tortured so badly that her mind split into hundreds or thousands personalities. One of those personalities was programmed to be a successful programmer herself and that part of her was very evil. But when her father died, she slowly woke up from her trance and succeeded to escape. But the way back to a normal life has been hard and painful. Now, many years later, she is still not totally cured, but has confronted lots of her personalities and made them disappear with the help of a therapist. Fritz Springmeier has been a good help for her, hid her in a safe place, where she can relax and feel trust in people around, so she can open up(5). So those Illuminati puppets, who have started waking up from their programming, now want to live a life outside the Order and start serving humanity. Some refugees have been killed and all of them have been threatened, followed and been declared “fair game” by people still within the Illuminati. (1) ”Monarch” is the code name for this particular technique of mind control, and is an offspring from MK-ULTRA. (5) There are contradictions as of how much help Fritz Springmeier actually was for Cisco. Since this article was written, there are researchers and even mind controlled survivors, who have been, what they say, unfortunate enough to have had to deal with Springmeier. They say he is evil and probably a government plant, who wrote the books on mind control to attract mind controlled refugees to re-program them back into the Illuminati. It is impossible for this writer to say what is true or not, so I can't judge. However, Fritz Springmeier is currently in jail, facing a 9 years sentence in state prison for his involvement in the 'Christian Patriot Movement', where he supposedly were the leader of a militia, which planned a violent attack on the government. If this was a setup to silence and make an example of a genuine researcher, or if the charges against him are justified, is also something I don't know much about. © Copyright Illuminati News. Permission granted to re-send, post and place on web sites for non-commercial purposes, if shown with no alterations or additions. Excerpts from the article are allowed, as long as they do not distort the concept of the same article. This notice must accompany all reposting.